O ITS Rio tem a missão de apoiar o desenvolvimento de um Brasil mais inovador. Para isso, entre os dias 21 e 25 de novembro de 2016, o instituto reuniu no Rio de Janeiro um grupo de empresários, palestrantes, pensadores, agentes governamentais, membros da sociedade civil e outros stakeholders para discutir um conjunto selecionado de temas essenciais para se pensar o presente e futuro do país em termos de tecnologia e inovação. Veja abaixo a programação da Semana Brasil Inovador, realizada em conjunto com nossos parceiros e apoiadores, dentre eles o Comitê Gestor da Internet no Brasil, a Universidade do Estado do Rio de Janeiro (Uerj), a Embaixada Britânica no Brasil e a International Network of Internet Research Centers. 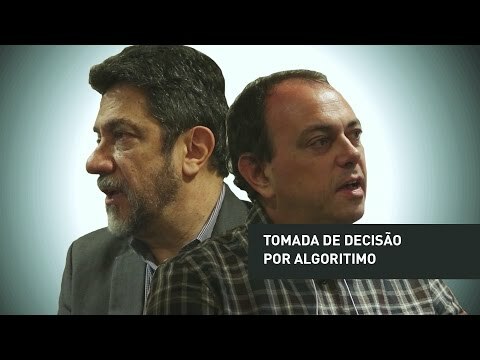 Neste semestre, o curso jurídico da Escola de Governança da Internet do CGI.br será realizado no Rio de Janeiro e terá o Instituto de Tecnologia e Sociedade do Rio (ITS Rio) como coorganizador, além de contar com o apoio da Embaixada Britânica. O curso é voltado para o público da área jurídica e tem o objetivo contribuir no debate dos novos desafios que as questões relacionadas a governança e uso da Internet impõem à aplicação do direito na sociedade brasileira, fornecendo subsídios para a compreensão de questões técnicas e jurídicas relacionadas à Internet no Brasil e no mundo. 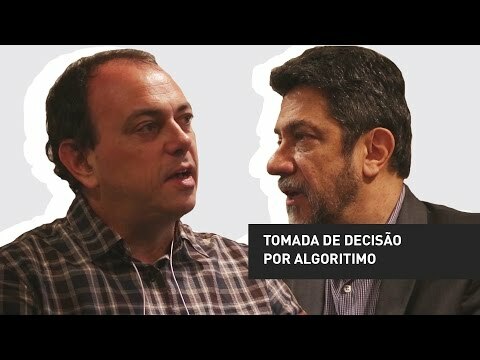 As recentes decisões judiciais determinando o bloqueio de aplicativos têm suscitado diversos debates sobre a legalidade e proporcionalidade deste tipo de medida e, também, sobre a relação entre ferramentas que se valem da criptografia para proteger a privacidade de seus usuários e a necessidade do Estado em prover segurança pública, evidenciando o embate existente entre a justiça e as mídias sociais. Nesta Varanda ITS da Escola de Governança da Internet Jurídica, iremos debater os bloqueios judiciais de aplicativos, os seus motivos e possíveis impactos para a inovação. Algorithms use big data to solve problems and inform decision­making and, depending on the data or other factors, they might lead to bias and discrimination. They can have direct impact on people’s choices and options, their right to privacy and control of personal data, and several other rights. Since algorithms are commonly dependent on historical data, vulnerable people are more likely to succumb to unfavorable outcomes, as generally past trends tends to reappear in the algorithm’s output. Notwithstanding, vulnerable groups are the ones that can potentially suffer more from such biases, as it happens when they have credit denied. This session will focus on analyzing the initiatives and frameworks currently established worldwide. What should be the content of the regulatory framework regarding the use of personal data (and Big Data) in order to properly address the issue of algorithmic discrimination? What can we learn from the frameworks adopted by other countries such as the US and the UK? Are they adequate or should we adjust them to the Latin American scenario? In relation to the current trend of data­collection, how can we sustainably maximize the contribution personal data makes to the economy, to society, and to individuals? How can we protect vulnerable groups with high risk from being discriminated, for instance, by financial institutions? This session discusses the way Latin American Countries have addressed the usage of information initially collected for the implementation of public policies for credit assessment purposes. Do these countries have legal frameworks? What are the necessary legislative changes needed for the usage of big data, both by governments and corporations, in these countries? How can they stimulate the financial industry to review risk assessment policies? This session discusses the way the private sector in Latin American countries addressed the usage of information initially collected for the implementation of public policies for credit assessment purposes. What are the conditions and principles for big data and algorithmic transparency? What are the sensitive issues to lead to transparency? What have we learned from government­lead and private­sector lead initiatives for algorithmic decision­making strategy? This session presents the study carried out by ITS based on products commercialized by three different credit bureaus, being one of them the “Mosaic Brazil”, a tool marketed by Serasa Experian, which is based on the application of analytical techniques and statistics on big data. The Mosaic Brazil covers more than 2/3 of the population and established 40 segments ranging from “Rich and influential” to “Youth deprived”. In this discussion, we will analyze the terms of service of the Mosaic in order to verify if there are limits for the use of information provided by financial institutions. Furthermore, we will analyze the collection of personal data carried out by the provider of Mosaic and check whether such collection complies with data protection and access to information rules. Brazil’s lacks a general data governance legal framework, something which presents negative consequences to society. Therefore, what type of legal framework should Brazil fight for? Which specific topics have to be present in the data protection bill?